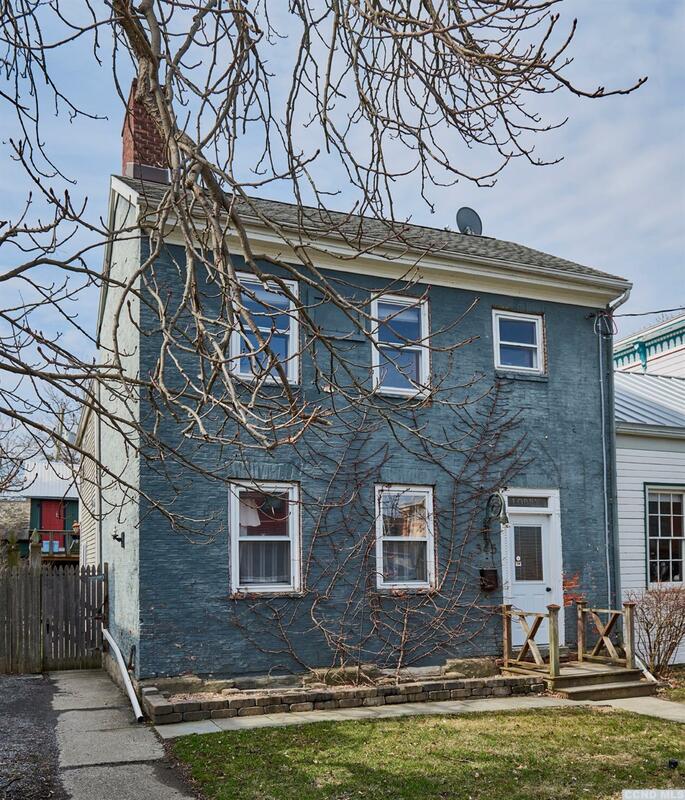 Early Hudson brick home is an eclectic mix of exposed brick, original flooring, wood beams and original fireplace; its history revealed. With its later addition, the main house is a five room spacious duplex with sunlit kitchen which can be easily combined with the upper rear 2-bedroom, 2-bath unit also bathed in natural light. The three-bay carriage house with 'lodge' guest apartment is charming and encloses this rare double lot creating intimacy to relax on the patio and enjoy the gardens. Additional front parking! Historic Hudson compound offering unlimited potential in the best location in Hudson!